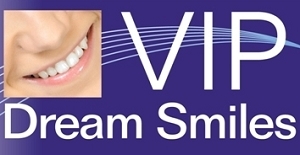 Our VIP Dream Smiles Team can help make your wedding DREAM SMILE come true in just days! Get A FREE Brochure from "VIP Dream Smiles"
Our VIP Dream Smiles Team can help make your wedding DREAM SMILE come true! We offer the latest in Hi-Tech Dentistry as well as personal care and service to achieve beautiful results with reduced apprehension even for the most fearful patient. Your VIP DREAM SMILE could be just days away with Dr. Clive, Dr. Shad or Dr. Rick Ingram and our sensational team of caring professionals. Our family can help you get the DREAM SMILES you deserve for your wedding!